[prodDesc] => You'll reach for this perfectly sized red silicone spatula every time you cook, and because it's so durable, it will always be at the ready. Great for use with non-stick cookware, it has been heat tested to 800 degrees Fahrenheit, and is stain resistant and dishwasher safe. Made in the USA with natural beechwood handles. 11-1/4" long. 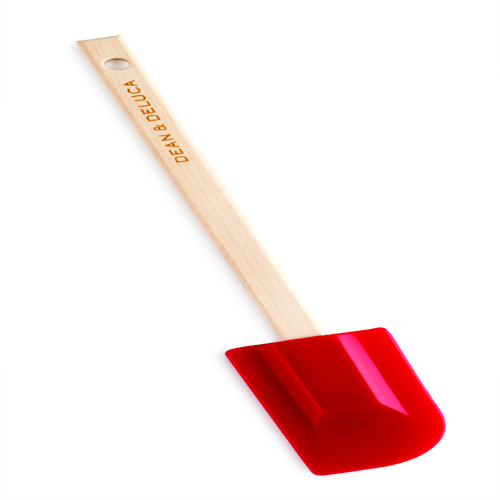 You'll reach for this perfectly sized red silicone spatula every time you cook, and because it's so durable, it will always be at the ready. Great for use with non-stick cookware, it has been heat tested to 800 degrees Fahrenheit, and is stain resistant and dishwasher safe. Made in the USA with natural beechwood handles. 11-1/4" long.